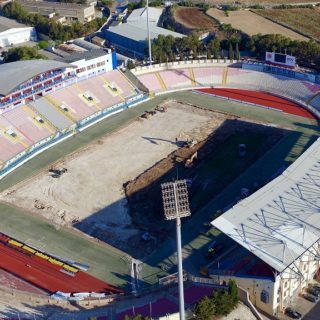 Last year SIS Pitches completed the full construction of Ta’Qali National Stadium pitch and installation of SISGrass – the latest hybrid pitch system. 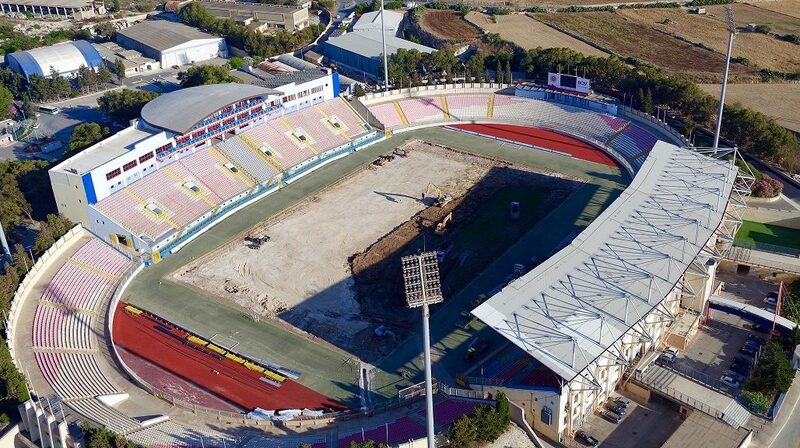 The stadium has already hosted the 2018 World Football Cup European qualifying match Malta vs Scotland in September 2016. The project team, led by Carlos Reis, Operations Director, constructed the pitch in 22 days. The existing pitch was removed to a depth of 100cm, new drains were installed along with a new automatic irrigation system. 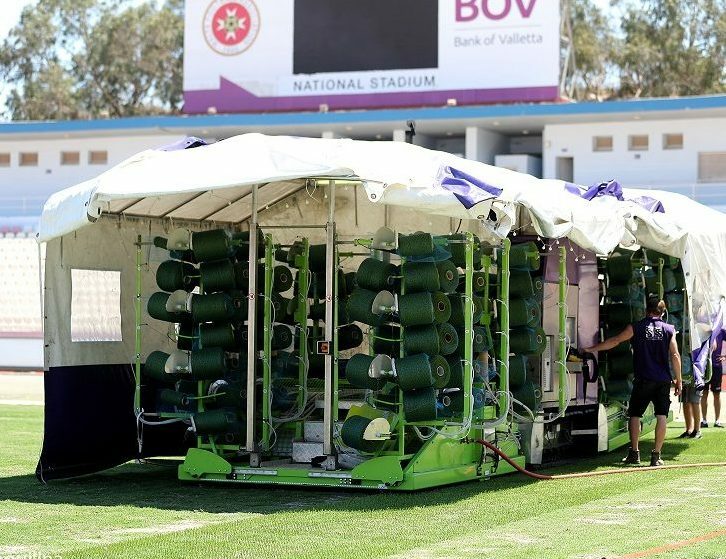 Afterwards, the SISGrass machine with its patented fibre injection technology, transformed the stadium’s pitch, to create a 95% natural surface. We have sourced the best yarns and developed unrivalled technology to create a hybrid surface that delivers a pitch capable of much longer playing hours than 100% natural grass surfaces, plus the robustness and endurance normally associated with synthetic turf. 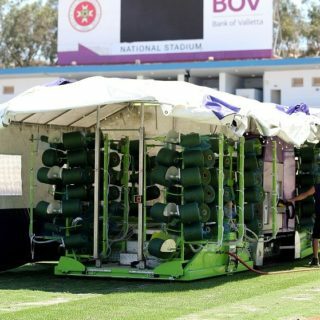 After consultation with world leaders in design and construction of hybrid pitches, the Malta FA awarded the contract to SIS Pitches who are well known for this type of technology. The works comprised of the removal of pitch profile to drainage level, the supply and installation of a new drainage system including a gravel layer, an irrigation system followed by sand and root zone layer as well as installation of SISGrass and grow-in maintenance. The standard of service received from appointment through to completion was to a high professional standard. The quality of construction was delivered to the highest standards with the project being delivered on schedule, within the agreed budget and to the satisfaction of players.